Mangan, 24 Apr (IPR): Inaugural programme of Human Papilloma Virus vaccination campaign for North district took place at Girls Senior Secondary School, Mangan today in the presence of Joint Director, Human Resource Development Department, North, Smt Deelak Pradhan, as chief guest. The vaccination was overseen by doctors from District Hospital, Mangan including Dr. D.C. Sharma (CMO/N), Dr. P.K. Basnet (DRCHO) and Dr. Roshana Bhumzan. Also present during the inaugural session were Smt Mamta Rani Rai (School Principal), school faculties and students. At the outset of the programme, Smt Pradhan cut the ribbon of vaccine box and promoted the vaccine and immunization card, followed by offering of Khadas to the chief guest, doctors and Principal of Mangan GSSS as a token of hospitality. Principal, GSSS, Mangan, Smt Mamta Rani Rai, in her welcome address, spoke on the importance and awareness on HPV vaccine. She informed that HPV/infection is main cause of cervical cancer and genital warts, therefore it is very important to get HPV vaccine at right age. The inaugural vaccination programme saw 38 girl students who were given 2nd dose of HPV vaccine while the 1st dose has already been completed on August 2018. On 24 April, six schools were selected for HPV vaccination. 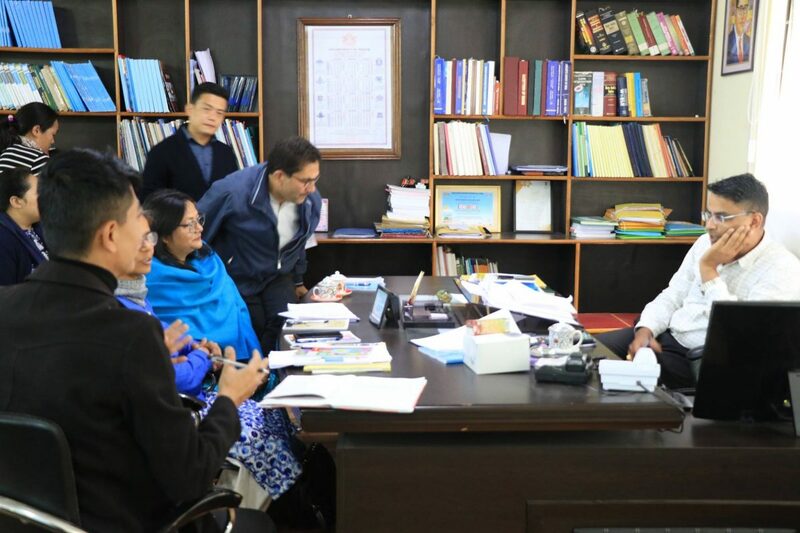 The names of these schools are: Mangan Girl’s Senior Secondary School, Mangan; Kalzang Gyatso Secondary School, Kabi; Dream Valley Academy; Chungthang Secondary School; Sonam Choda Senior Secondary School, Lingdong; and Ralak Junior High School. 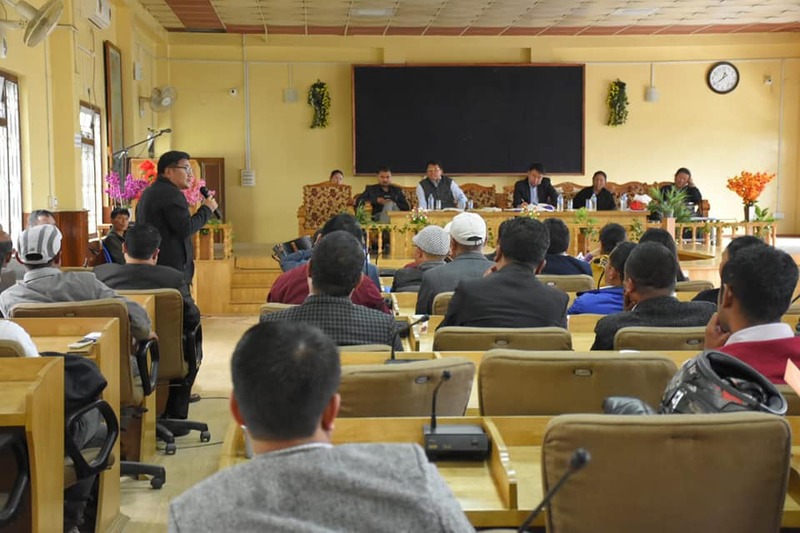 Gyalshing, 23 Apr (IPR): Co-ordination meeting of school heads from various schools under Human Resource Development Department with District Collector, West, Shri Karma R. Bonpo, was held at the Conference Hall of the Zilla Panchayat Bhawan today. 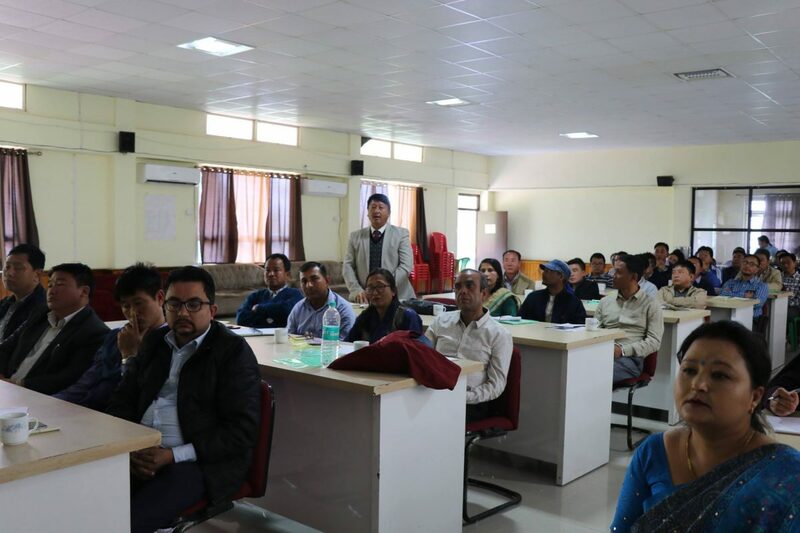 The DC, West chaired the meeting as chief guest along with Additional Director, HRDD, Mrs T. Eden Bhutia, Joint Director, HRDD, Mrs Karma Doma Bhutia, and Deputy Director, HRDD, Mr P.L. Subba. 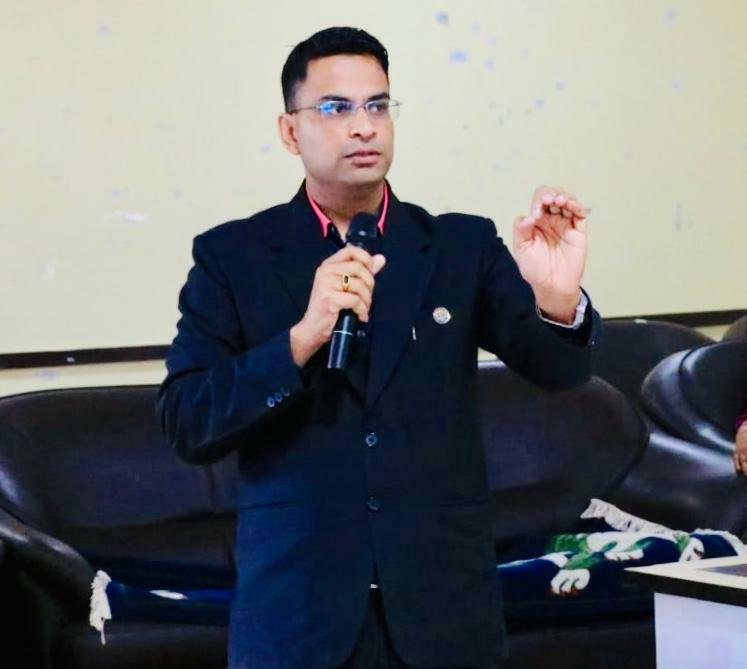 The DC addressed the attendees firstly by briefing about the core motive of the meeting through which he wanted to understand the current scenario of education status of the district as well as to take good account of all the issues of various schools and education system of the district. Further, while emphasising on improving the quality of education, he informed about the various present schemes through which if utilised efficiently than it can play a vital role in state building process. He also asked them for going innovative equally instructing them to go through different categories of books. Enquiring further he informed about the Smart Class setup in the different schools and its benefits and also about Attal Tinkering Labs at the schools. Later, it was also informed that Gyalshing BAC and DIET have planned to hold a ‘Book Donation Event’ on 27 April, 2019 at Gyalshing Bazaar and for coordination purpose a Facebook page namely ‘Book Donation Campaign 2019’ shall be opened for future donation events with motive of good book to be reached to the primary schools of extreme remote areas of the district. Also present were Mr. Asap Dahal, AO; Mrs. Dichen Ongmu Bhutia, Coordinator Gyalshing BAC and Mr. Raju Bhandari, AD Gyalshing BAC, HRDD. Mangan, 23 Apr (IPR): Day-long district level sensitization programme for stakeholders on Protection of Children from Sexual Offences (POCSO) Act, 2012 and Juvenile Justice (JJ) Act, 2015 was organized by the District Child Protection Unit (North) in association with Integrated Child Protection Scheme, Social Justice Empowerment & Welfare Department at the conference hall of North Zilla Panchayat Bhawan today. 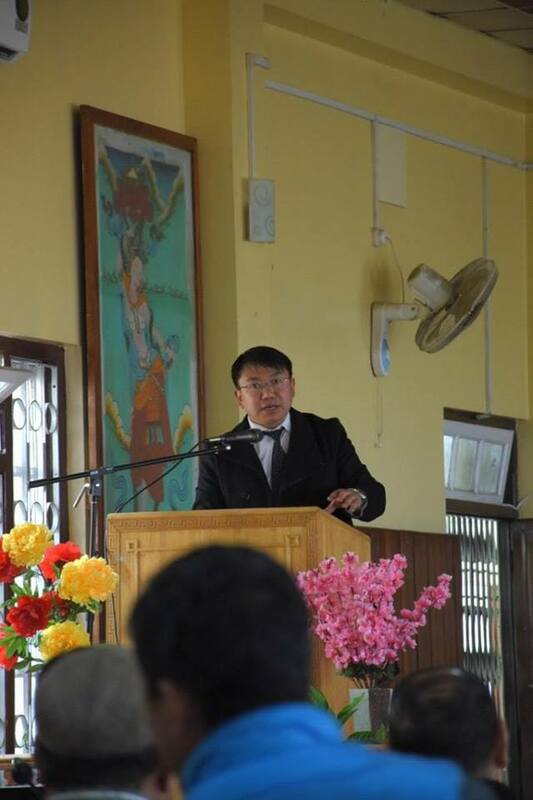 The programme was conducted in the presence of District Magistrate, North, Shri Raj Yadav, Superintendent of Police, North, Shri Kunzang D. Shangdarpa, Chairperson, Child Welfare Committee, Smt Mingma Doma Bhutia, District Child Protection Officer, North, Smt Wendy M. Lepcha, Principals, Vice Principals, head of schools, teachers and local dignitaries of the district. District Child Protection Officer, North, Smt Lepcha, elucidating the POCSO Act, 2012 to the stakeholders, stated that the head of the schools and their faculty has a vital responsibility on the Protection of Children from Sexual Offences as they can understand the children’s nature in a better way. The teachers play a vital role in tackling child sexual abuse by observing and asking the children who are behaving in an unusual manner. Further, she urged the stakeholders to extend their cooperation and join hands on combating child abuse. Smt Lepcha termed child abuse as a societal disease. It is said that 95% of people who commit such crime against children are their close relatives who are trusted by the children. She informed any form of sexual abuse against children can be reported to the nearest Police station or they can also make a call on 1098 (Toll Free) which is available 24/7. Victims can now use email to report sexual harassment against them at www.ncpcr.gov.in a website dedicated to prevent child sexual abuse. The DCPO briefed the responsibilities of the media to make sure that the identity of victim of child who has been sexually abused must not be revealed. Similarly, she also sensitized JJ Act, 2015 to the stakeholders. Superintendent of Police, North, Shri Shangdarpa, informed the house that recently two POCSO cases have been registered in the district. Such cases are being reported at an alarming rate in the State, he added. District Magistrate, Shri Yadav, appreciated the programme and urged the house to join hands to combat such societal evil. He also informed that the District Administrative Centre, North will initiate programmes such as Field Friday, Best School Award, Revision of Basic Learning and District Evaluation of Schools from the month of June. 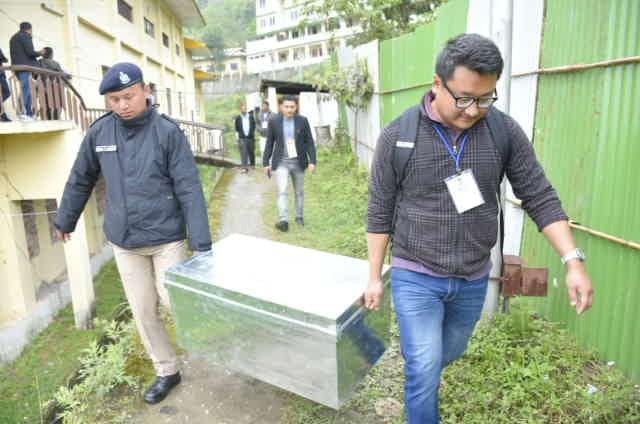 Gangtok, 22 Apr (IPR): As per guidelines of Election Commission of India, exchange of postal ballots of Sikkim Parliamentary Constituency and all 32 Assembly Constituencies (including Sangha) took place at Singtam Police Station today in the presence of representatives of contesting candidates. 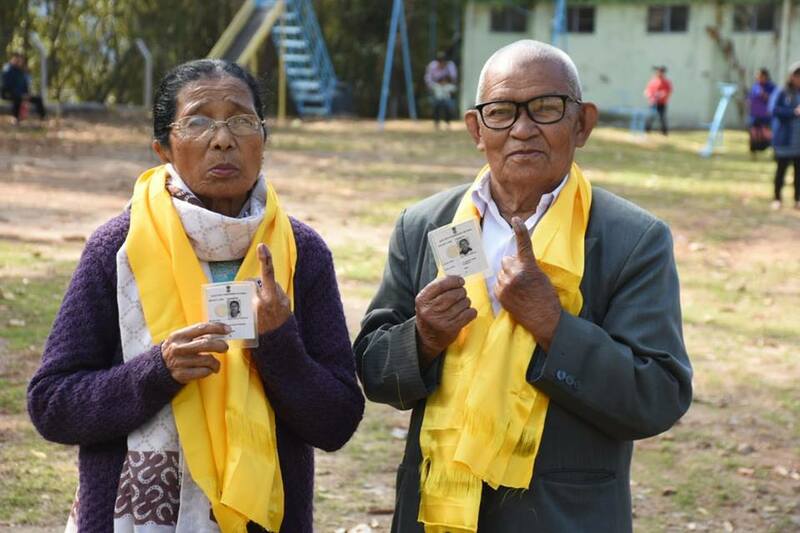 Postal ballots were brought to Singtam Police Station under the supervision of Nodal Officers for postal ballots of all four districts. Special arrangements were made for government employees who were engaged in polling duty as they casted their votes through postal ballots which were received in the concerned office of the District Election Officers of all four districts. All exchanged ballot papers of concerned constituencies were taken back to designated strong rooms in district headquarters which will be kept under 24X7 security vigil. Casting happened till poll day and now postal ballots are being received only through post which will continue till the start of counting process on 23rd May, 2019. Gyalshing, 22 Apr (IPR) : The strong room for postal ballot papers situated at the Control Room in Kyongsa, West Sikkim was opened today at 9:00 am in the presence of Returning Officer, Shri Karma R. Bonpo, Additional District Collector, West, Shri Karma L. Lepcha, and representatives of all political parties. 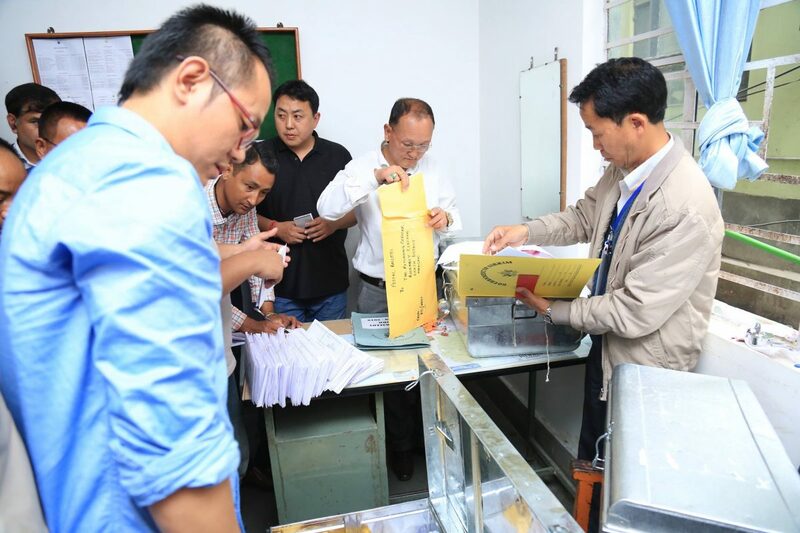 The postal ballots were segregated district-wise and sent to the concerned Returning Officers along with Police protection. At 3:00 pm, statement regarding postal ballot received by post was also segregated constituency-wise and locked in the strong room in the presence of the RO and representatives of political parties along with video and photo evidence. Mangan, 22 Apr (IPR): North Sikkim is all set for immunization on Human Papilloma Virus (HPV) vaccination to girls aged 9-14 years in the district from 24-30 April. In this connection, a meeting was held at the chamber of District Magistrate today which was attended by the DM, North, Shri Raj Yadav, Joint Director, Human Resource Development Department, Smt Deelak Pradhan, Chief Medical Officer, North, Dr. D.C. Sharma, District Reproductive Child Health Officer, North, Dr. P.K. Basnet, and other concerned officers. 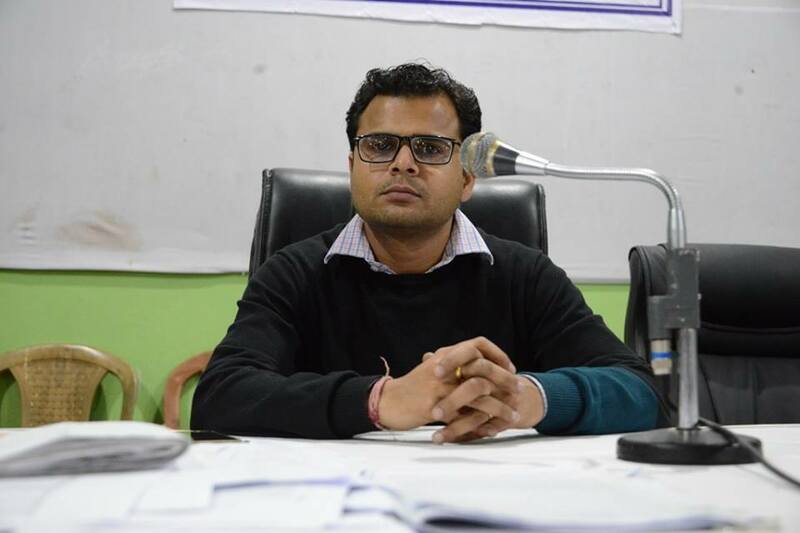 It was informed that the inaugural programme of the said vaccination will take place at Mangan Girls Secondary School on 24 April and will cover the entire district till 30 April. Human Papilloma Virus vaccines are vaccines that prevent infection by certain types of Human Papilloma Virus. Available vaccines protect against either two, four, or nine types of HPV. All vaccines protect against at least HPV type 16 and 18 that cause the greatest risk of cervical cancer.